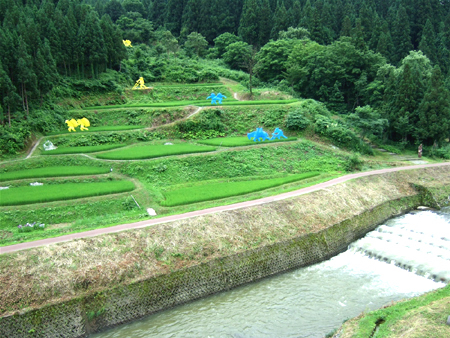 From July 23rd to Sep 10th, “Echigo-Tsumari Art Triennial 2006” (the third such Triennial) is being held with magnificent and enormous works and projects in Echigo-Tsumari area in Niigata, Japan. 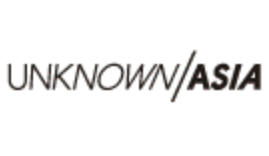 There may be someone who has already included this distinctive and mysterious tour in their summer vacation plan. Or there may be someone who remembers the reports SHIFT featured in 2000 and 2003, and there also must be someone who has actually visited the place. This Art Triennial, which has been organized by a director Fram Kitagawa (a president of Art Front) and supporters, artists and local people exceeding every limit, is a macroscale art festival in the field, aiming to activate this depopulated region throughout arts, and getting attention from the world. From the last holding till this year, many natural disasters poured into this beautiful village area; a great earthquake disaster, a flood, a landslide and heavy snowfall. The depopulation further worsened. “My rice field was destroyed by the landslide. I had no option but to quit rice growing which had been continued in my family from generation to generation. That’s it. It’s enough”, a local taxi driver I met there said. A lot of people were forced to completely change their whole lives at these moments, and they were in the situation they “could not even think of art”. However, being able to get into such villages was also perhaps due to art. Supporters and artists kept visiting at the time of the disasters to hold aid activities, workshops “Forum for Tomorrow” for local children and so on. This year’s “Art Triennial”, therefore, is the 3-year-old “flowering” after many difficulties. On the contrary, the adverse circumstances seem to have enkindled people’s passion more. 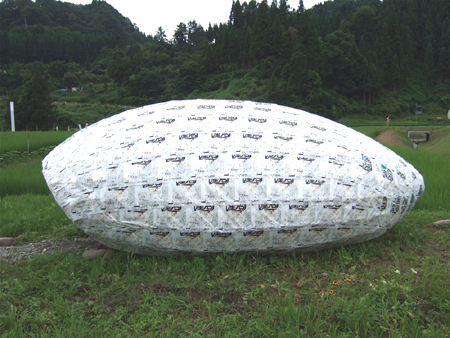 Including past works, “Echigo-Tsumari Art Triennial 2006” has 337 artworks by artists from about 46 nations/areas in the world, which are spread throughout a vast area. Those I can introduce here do not even reach the one-tenth, and are not the selected recommendation from all the artworks, but please enjoy the thought that this is only what I could visit during a few days here and also is a part of reasons that so much people power has been drawn to Echigo-Tsumari. I took the Joetsu Shinkansen from Niigata Station and changed to “Hokuhoku Line” toward the festival area. Therefore, to me, “Matsudai Station” became the entrance of the Art Triennial. To try and select carefully the transportation way is also one of the distinctive characteristics only this place has. It’s almost impossible to walk around all the artworks, the vast area is about 760 square kilometers. (Though, of course, you can enjoy walking too!) It must be more than what you expected even if you were already informed well in advance about the scale. A total of 13 train stations are in the area, and artworks are dotted further than you can feasibly arrive on foot within several minutes from each station. 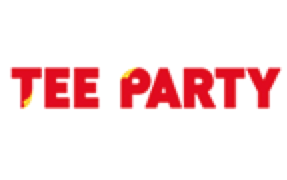 Most of visitors use a car or a rent-a-car there. Of course it might be the best and efficient, and also it would be enjoyable just to go around the magnificent scenery as a group. However, there are also many other ways prepared and you can discover each special experience only in each way; bus tours in several courses with highlighted artworks and commentaries, taxi tours that you can save the money if you are with several people, and using rent-a-motor-scooter or bicycle from main stations, etc. For example, if you use bus or train running only several times a day, you might have difficulties to arrive where you wanted to go (it happened to me a lot this time), but this Art Triennial definitely includes such latency time too. People, scenery and wind that you happen to meet at such times make you forget the bustle in cities, and soon you feel liberated with your five senses. To start with, let’s take a look at Matsudai Snow-Land Agrarian Culture Center “NO BUTAI” where I arrived first. This stage, which was built as one of key elements of 2003 by an architect unit from the Netherlands “MVRDV“, functions as one of the central institutions this year too. Here is one of the places where you can get the Triennial information or passport, and original Tsumari goods. The design of building is considered both not to be buried in snow and to get over the summer heat, and there is no pillar. I laughed at the playful design of the restroom here. This “NO BUTAI”, which has a lot of artworks around near the station, is one of the few places convenient to access, especially for people who use a train. Many events will be held at this place during the Triennial. Being a front work of this area since the 1st Triennial, “The Rice Field” (2000) by Ilya&Emilia Kabakov (Russia), of which the image on the first page, is completed by being watched from an observation deck in this building. The artwork overlaps with some verse about traditional rice farming. 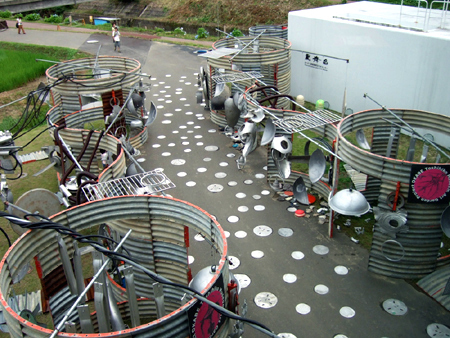 The “World Energy System” (2006) by Toshihiko Okabe (Japan) is work combined with metals and set up everywhere around the “NO BUTAI”; gap, roof and inside of the building. There were sticks and aluminum boards right beside the work so that you can freely make sounds by hitting it. The incongruous metallic clanks sometimes became extremely rhythmic by coincidence, adding joyful atmosphere in the surrounding nature. 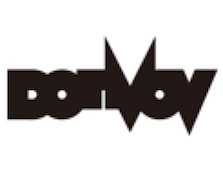 On 15th of August, an event will be held by the artist himself, Neutral Production (sound and video), Tatsuhiko Nakano (percussion), and DJ Araiguma (noise music). Somewhat too sophisticated for this area, however, the “Cafe Reflet” by Jean-Luc Vilmouth (France) provides local cuisine with a view of “The Rice Field” from expansive windows. The Tsumari taste such as “No-no-Gozen” with seasonal vegetables, farmers’ ordinal lunch “Nora-Shigoto-Teisyoku” is made by local people. 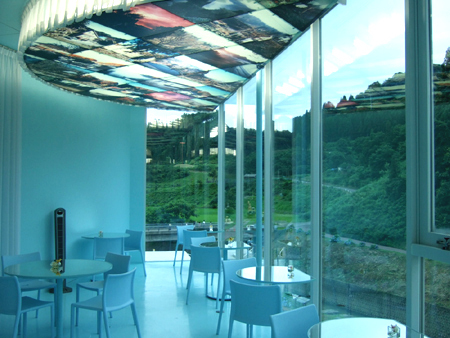 The ceiling is decorated with pictures that local residents took from their own houses, and these are reflected on the mirror tables. 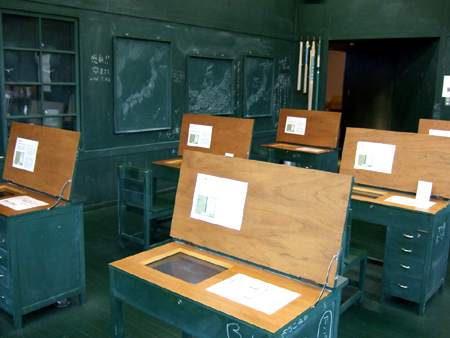 One of the 2 room works by Tatsuo Kawaguchi (Japan), “Relation-Blackboard Classroom” (2003). He has 2 themes for each room work; “Farming” and “Culture”, and this whole “Culture” room has been blackboard-colored. You can write something up anywhere, not just the formal blackboard space. The other “Farming” room has farm implements the artist gathered from local people, and the implements are sealing up seeds. Rice might be one of the things anyone can associate the most with Echigo-Tsumari. Viewing the rice farming scenery and people, the white steamed rice you eat in Tsumari is dramatically delicious. The Art Triennial uses the rice grain as symbolic design everywhere including its pamphlet, and Vincent Du Bois (Switzerland) expresses it in “Rice Room” (2006). You can enter the rice here, which usually enters in your mouth. Inside there were rice sounds playing, which was also like sounds of falling rain, a stream, etc. Sounds from mother earth have something in common. 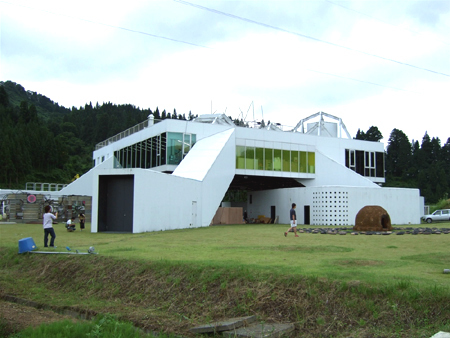 “Museum of the constellation families of Matsudai” (2003) by Josep Maria Martin (Spain) was lining up to the entrance of “NO BUTAI”. 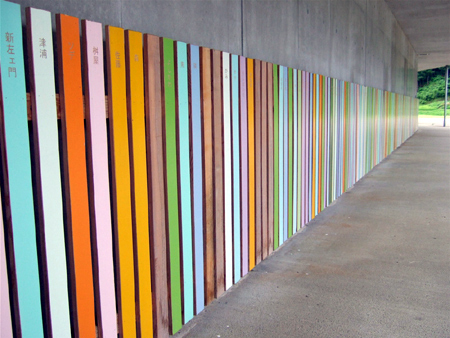 When walking along the artwork, voice of local people caught my ear all at once. Words of warm welcome which are full of human touch came from a speaker. Those colorful plates have 1470 trade names of which are all Matsudai households. 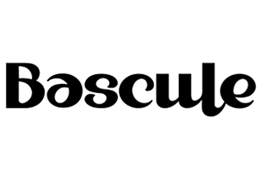 Trade name is a traditional family name available only in the area. Every family can freely decide their own name without any registration, but it continues from generation to generation once decided. 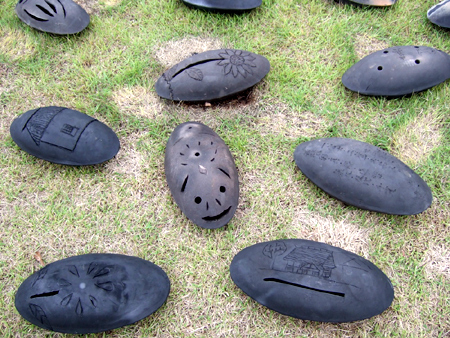 This is from a project of Yasuyuki Watanabe (Japan), “The beat of the ground” (2006). He has created sound tools of pottery, together with local people, and these are surrounding a small furnace placed in “NO BUTAI”. Each has each own cute expression, and different beat of the ground. This artist had other exhibits of sound tools in Tokamachi area Doichi in 2003 too, and there will be music performances (player, Sachiko Nagata) in each place, Doichi and NO BUTAI, on 19th and 20th of August.